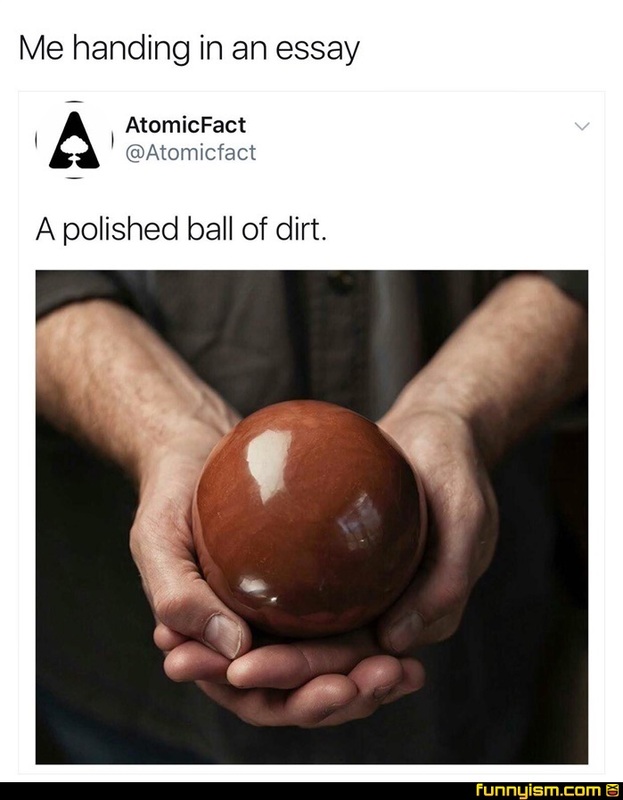 A polished ball of dirt? So was Twilight. @Mr Literal, a polished turd is still a step below dirt. @Mr Literal, what makes it even funnier is that it looks like the cover of Twilight. Unless that was the whole point of the joke and I'm just an idiot. @Mr Literal, no twilight wasn’t polished. I got a ball of dirt, I got a ball of diiiirrrttt! Soooo... me when I slick my hair back and prepare to fvck and chuck another tinder hoe. @LeeSinsEyes, It actually is dirt, look up mythbusters polish a turd. It's some ancient japanese thing. @LeeSinsEyes, haha, I get it! I wish I could sell “dirt” to be the most valuable company in the world. That’s a picture of my birth.